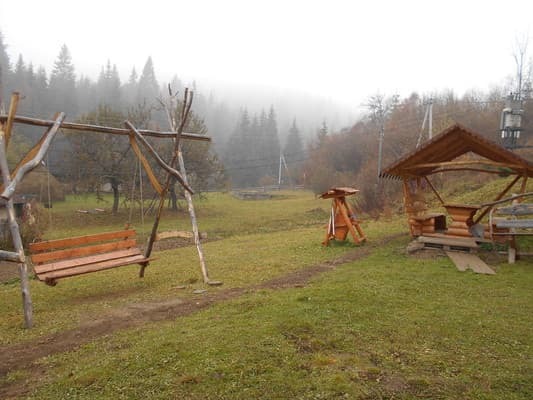 Gostiny Dvor "Under the big top" is located in Pilipets, 5.5 km from the center of the village. 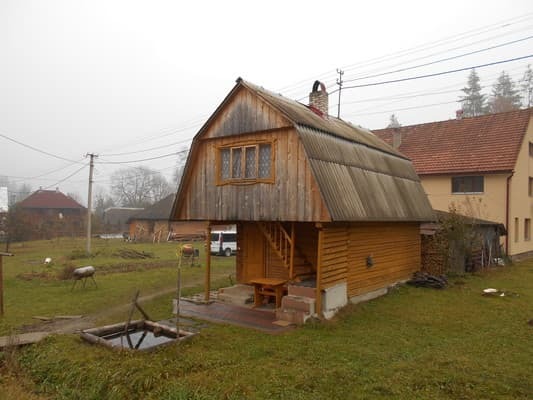 The Gostiny Dvor is a two-storey cottage and a house with a sauna. 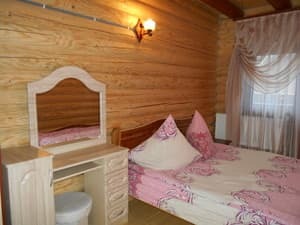 The hotel rooms are equipped with comfortable furniture, TV, some rooms - an individual bathroom. 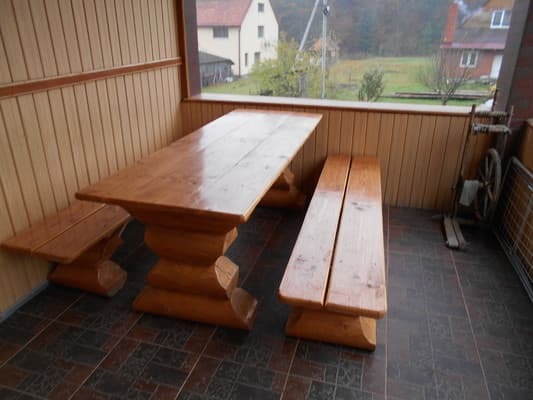 For recreation there are 2 spacious fireplace rooms on the first floor of the cottage. 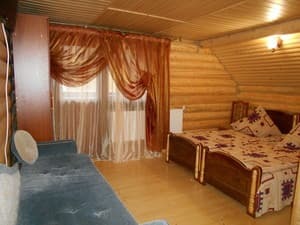 On the territory of the guest house "Under the big top" there is parking, a sauna, a gazebo, a swing. 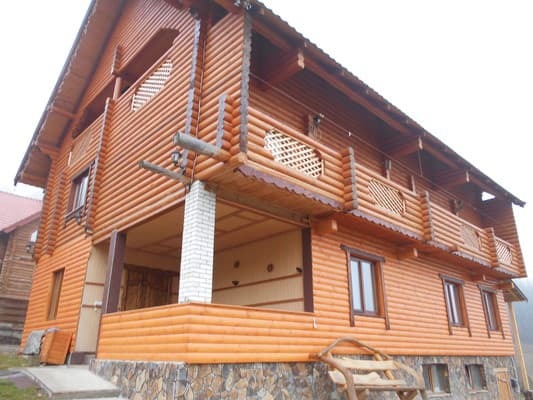 At the request of the guests it is possible to organize fishing, hiking in the mountains, excursions to Transcarpathia. 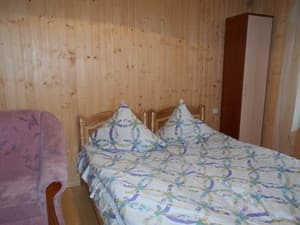 To the nearest ski lift "Magura" - 200 m, to the waterfall Shipot - 500 m.
Description of the room: Comfortable double room on the 3rd floor. In the room: 2 single beds, bedside table, wardrobe, chairs. Room amenities. Some rooms have a balcony. 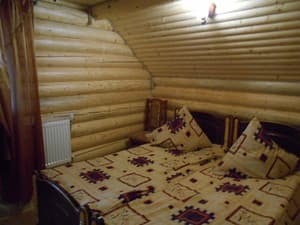 Description of the room: Comfortable double room, located on the 1st floor, with a double bed, bedside table, wardrobe, chairs. Extra bed - sofa bed. Description of the room: Comfortable double room with balcony, located on the 2nd floor. In the room: 2 single beds, bedside table, wardrobe, chairs. 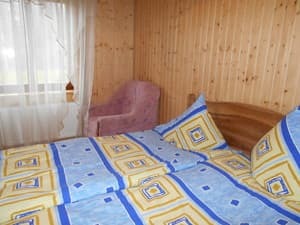 Description of the room: Comfortable double room on the 1st floor, with a double bed, bedside table, wardrobe, chairs. Description of the room: Comfortable triple room, located on the 3rd floor. In the room: 2 single beds and a sofa bed, bedside table, wardrobe, chairs. One of the rooms has a balcony. 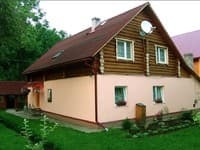 Description of the room: Two-room double room, located on the 2nd floor, consists of a bedroom (double bed, wardrobe, chairs) and a living room (sofa bed and TV) and a bathroom (shower, toilet, washbasin). This room has a balcony. The price includes two meals a day. 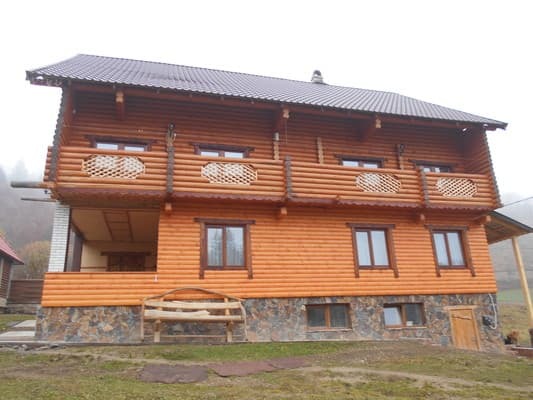 The distance to the nearest cafe is 150 m, the shop - 200 m.
The farmstead is located 5.5 km from the village center and the Volovets - Mezhgorye highway, 200 m to the nearest Magura ski lift, to the Shipot waterfall - 500 m. To the nearest grocery store 300 m. Convenient approach - asphalt road. Train Uzhgorod direction - to the station "Volovets", then by bus or taxi. By car "Kiev-Lviv-Chop" (M-06), after the village of Nizhnie Vorota turn to the village of Mezhgorye. In the village of Pilipets turn after the sign "Shipot" and go about 5.5 km. Gostiny Dvor is to the right of the road.